Princess Magnolia is having hot chocolate and scones with Duchess Wigtower when . . . Brring! Brring! The monster alarm! A big blue monster is threatening the goats! Stopping monsters is no job for dainty Princess Magnolia. 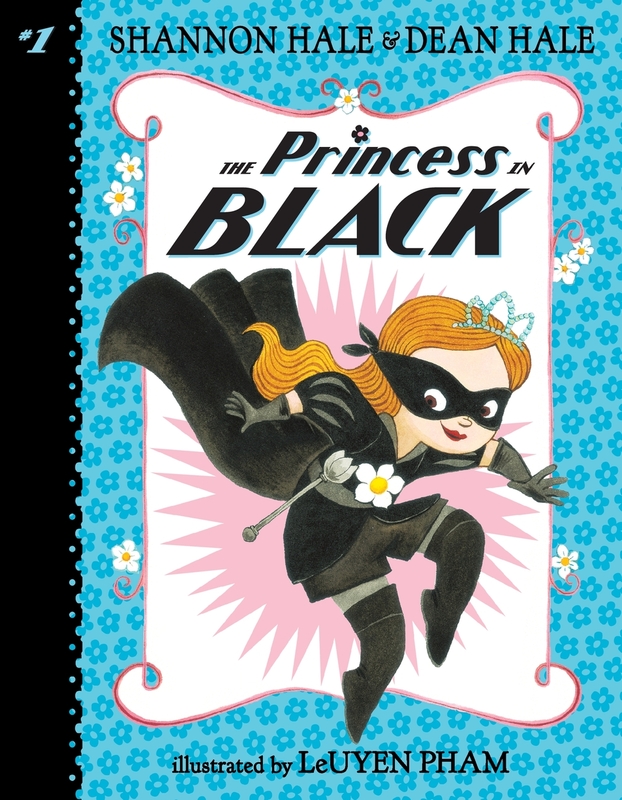 But luckily Princess Magnolia has a secret – she’s also the Princess in Black, and stopping monsters is the perfect job for her! From the award-winning writing team of Shannon and Dean Hale and illustrator LeUyen Pham, here is the first in a humorous and action-packed chapter-book series for young readers who like their princesses not only prim and perfect, but also dressed in black. Shannon and Dean Hale are the husband-and-wife writing team behind the graphic novels Rapunzel's Revenge and Calamity Jack, both illustrated by Nathan Hale. Shannon Hale is also the author of the Newbery Honor-winning Princess Academy as well as The Goose Girl, Enna Burning, and other novels. They live in Salt Lake City, Utah. LeUyen Pham is the illustrator of many books for children, including God's Dream by Archbishop Desmond Tutu and Douglas Carlton Abrams and Aunt Mary's Rose by Douglas Wood, as well as the Freckleface Strawberry books by Julianne Moore. LeUyen Pham lives in California.